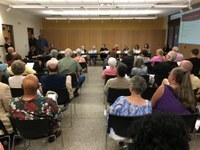 The Albuquerque Police Department and the City’s Community Policing councils completed a series of open dialogue meetings to update the public on the Department’s progress and answer questions concerning the Court Approved Settlement Agreement. Meetings were held in during the month of August and in each of the City’s six area commands. 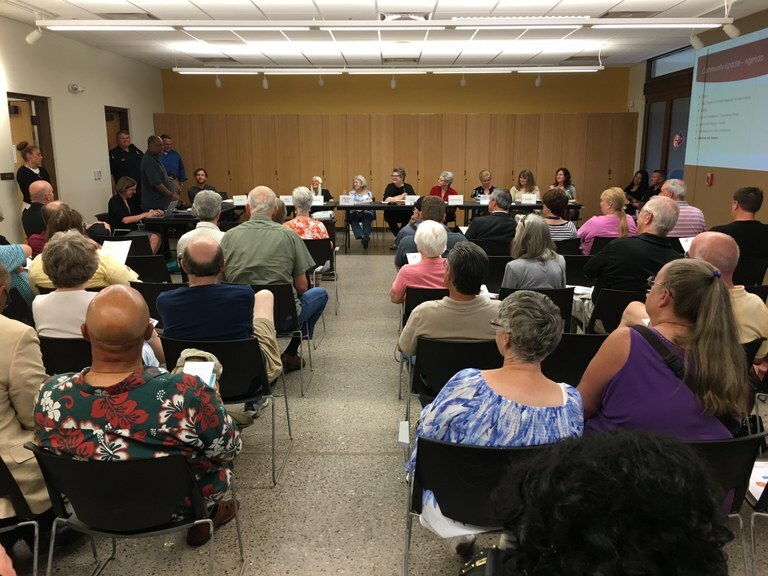 They were hosted in conjunction with the regularly scheduled Community Policing Councils which are open to the public and address a myriad of community policing topics and concerns. More than 200 people attended the briefings and engaged in candid conversation. Topics of concern included recruitment and retention of officers, timing of the Monitor’s reports and how the overall process works. The Albuquerque Police Department will host city-wide briefings on a semi-annual basis and begin issuing a monthly update concerning progress related to the Settlement Agreement.